Getting spendy in Glossier always means it's time for a new beauty brand spotlight update post. If you remember rightly, I wrote about Glossier finally being available in the U.K back in October last year, how was that one whole year ago?! 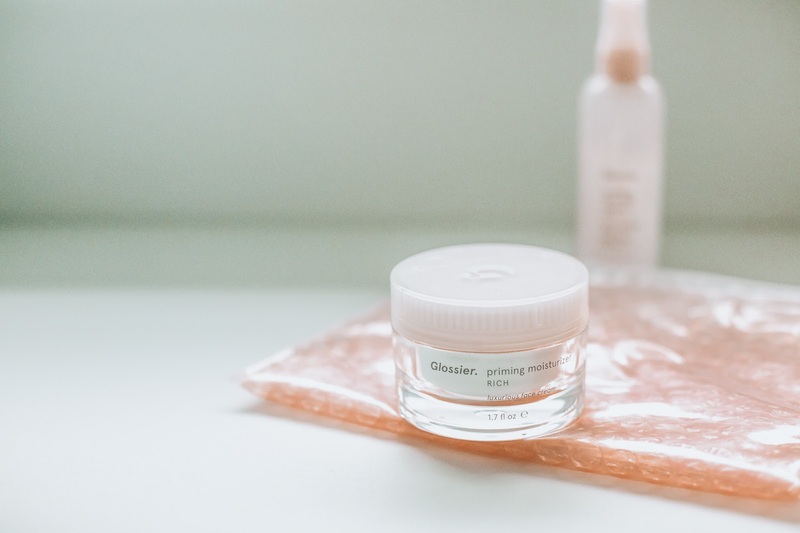 I reviewed a few cult products from Glossier and since then, my love has only got stronger. 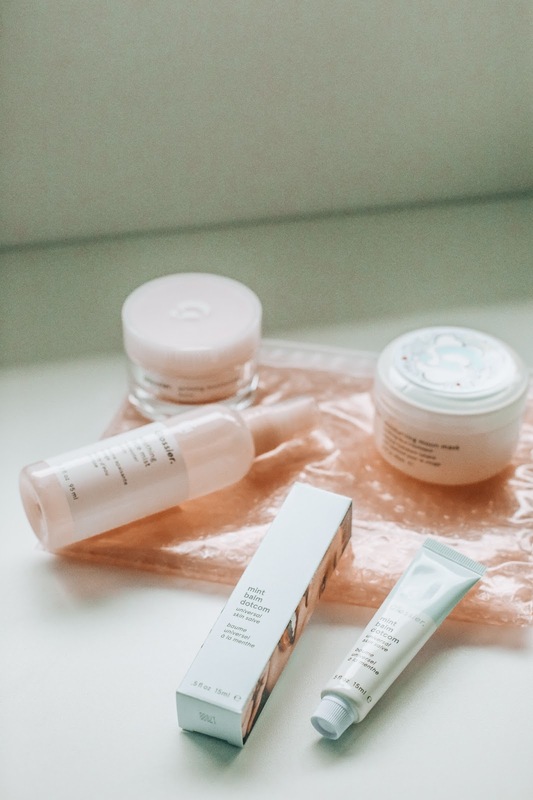 Today I wanted to write a little updated post featuring some new bits I've tried from Glossier recently, p.s, if you're in New York, make sure you head to the Glossier showroom - it's beautiful! 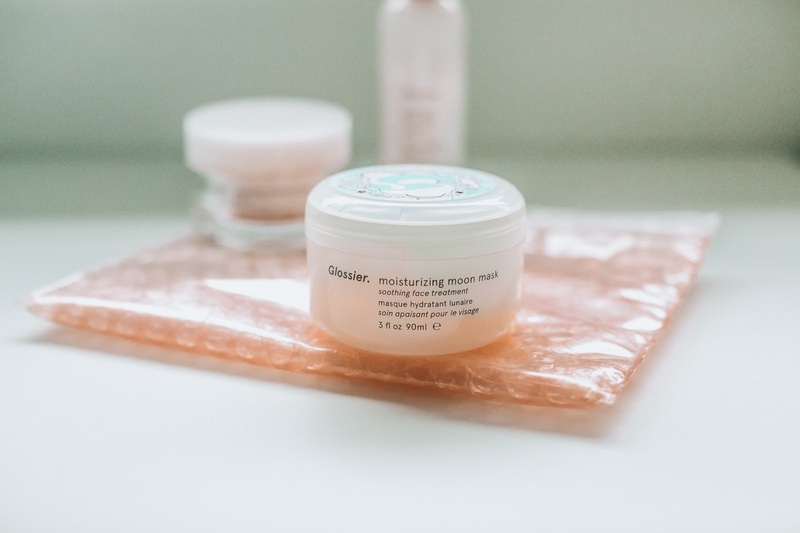 Glossier Moisturizing Moon Mask - I'm massively into my face masks as I'm sure you're all aware by now, but the Moisturizing Moon Mask by Glossier is a winter skin must-have. It's intensely hydrating and oh so creamy. If the cute name and packaging don't sell it to you then the fact it's brightening, soothing AND moisturising may do. 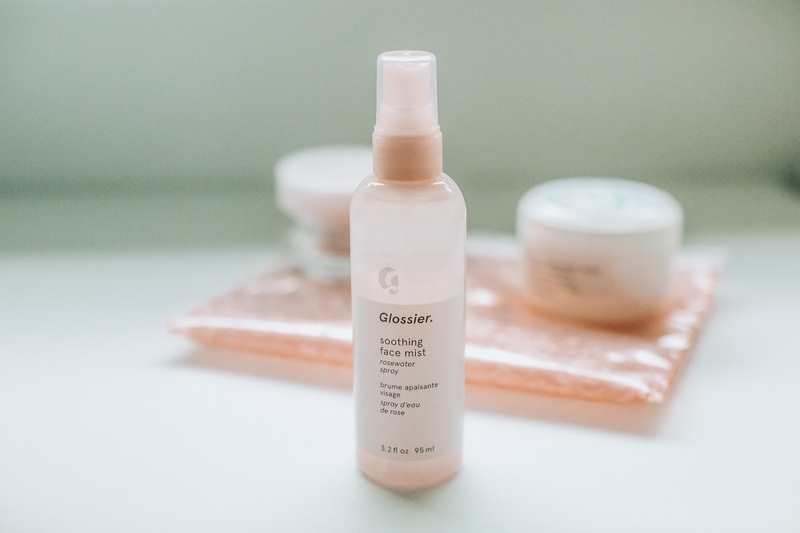 As with all Glossier products, the ingredients are top notch, including sweet almond oil, hyaluronic acid, licorice root and lemon fruit so you'll have hydrated, soft and brightened skin. I LOVE a multi-tasking product. This is perfect on long-haul flights, on extra cold days or, to pop on in the bathtub (get that Jo Malone candle burning) I love lathering something all over my face that feels soft and soothing and this is just that. Online here. Glossier Priming Moisturiser Rich - I was so excited to try a rich primer and moisturiser from Glossier, having first tried their Priming Moisturiser a year ago and falling in love. This is great because it can be used day or night and I do love a multi-tasker. This is such a comforting, sumptuous cream and I personally like using it on winter mornings with it being so rich. It's designed to reinforce the skin barrier and lock in moisture. It also has anti-redness complex and oxygenating agent in order to make the skin smooth and dewy for makeup application if you'd rather use this in the morning as a primer/moisturising duo. I find many rich moisturisers are too heavy for me (if you feel like this, I'd highly recommend the Olay Regenerist Whip moisturiser, it's SO good if you want something rich and luxe without going greasy and it sinks into the skin so quickly) Glossier's rich moisturiser is formulated with shea and murumuru butters to melt into the skin but in a non-greasy way which is perfect because I do find my skin doesn't drink some products up and I'm left with a greasy face and sliding off makeup, literally. So to conclude? This product has the original elements of my favourite Priming Moisturizer (and Glossier's best seller) within, but, has the added luxurious elements and richness making it the perfect night cream too. Online here. Glossier Soothing Face Mist - I can't believe this face mist is only £13. I've been a fan of face mists for a long time, but this is definitely one of the best ones (plus, beautiful in that lust-worthy Glossier packaging). 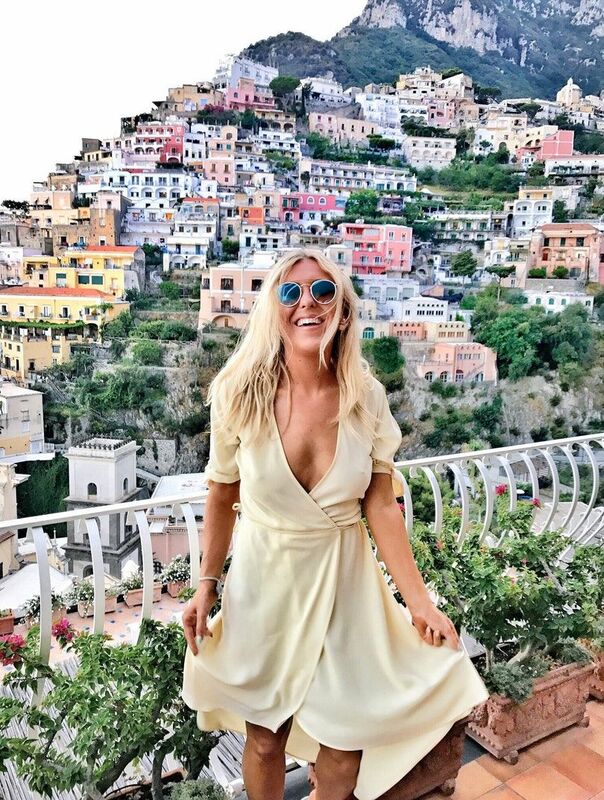 I know face mists are usually talked about for summer months or, on flights but our skin still gets dehydrated in winter and I always try to have a face mist of some sort in my handbag to spritz over my make up when I may need it. This is made with rosewater and aloe and instantly makes you feel fresh and awake, as well as hydrated too - it's also great for your gym bag! Online here. 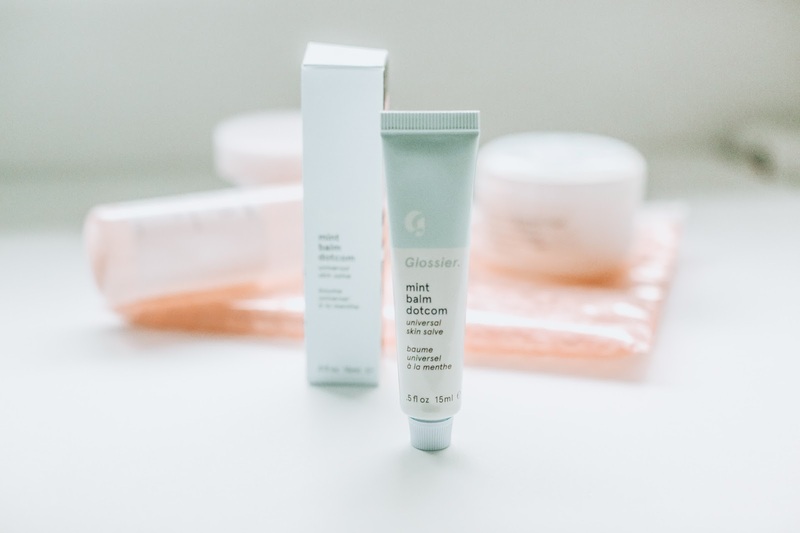 Glossier Mint Balm Dotcom - I have to say, my favourite Glossier products are the Dotcom balms and the Boy Brow (if you like brow products, HD Brows Colourfix is also epic and definitely a makeup bag essential), for sure two of the holy grail Glossier products and if you asked me what you should buy from Glossier to get started with the brand, they're the two products I'd recommend. I'd already tried one Glossier balm and I mean, who doesn't want to try a different one. Balm Dotcom is a long-lasting, multipurpose lip balm packed with good stuff (antioxidants, natural emollients) to nourish and repair dry skin. I use SO many lip balms and this one is very very good for super dry, winter lips (I also love P'Ure Papaya, EOS, Lypsyll, Elizabeth Arden and Nuxe FYI) it's the packaging I love with Glossier because Balm Dotcom reminds me of lip smackers and yup, I want the whole collection. The mint one makes my lips tingle nicely and yup, it looks pretty AND works wonders for my lips too. Online here. 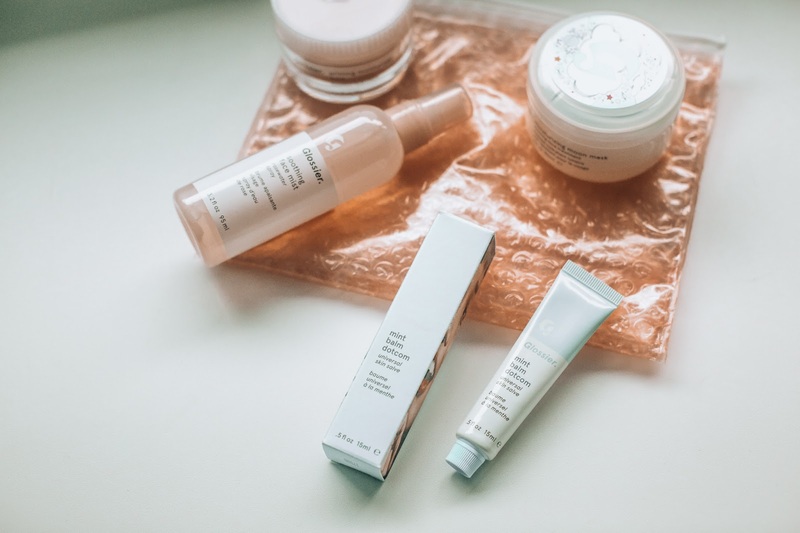 So there we have it, a quick look at some of my favourite Glossier products and a little brand update one year on. Have you ever used Glossier?